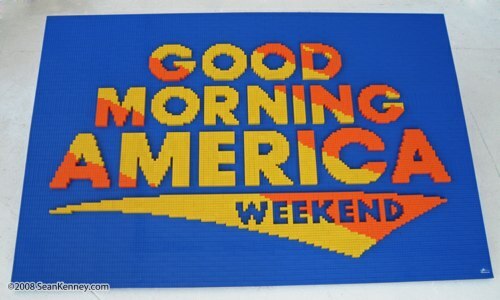 Sean's rendition of the shiny gold Good Morning America logo was built using over 11,500 LEGO bricks. 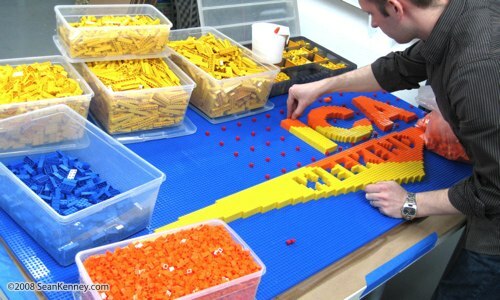 While "shiny" and "golden" don't necessarily come to mind when you think of flat, primary colored plastic bricks, Sean was determined to replicate the logo's shimmering, glammy appeal. 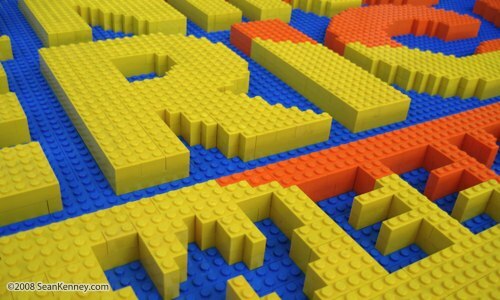 And glammy it is. 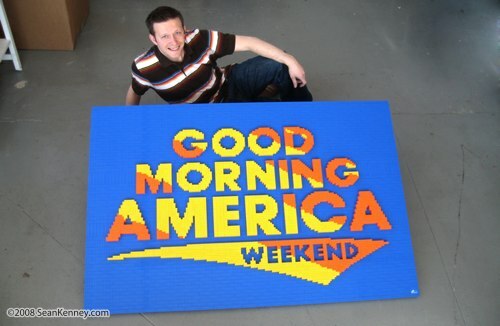 This 5-foot-wide sculpture was set up at ABC studios for a live broadcast on 17-Feb 2008. For some reason, spectators looking in from Times Square seemed more interested in the display case full of The Oscars. 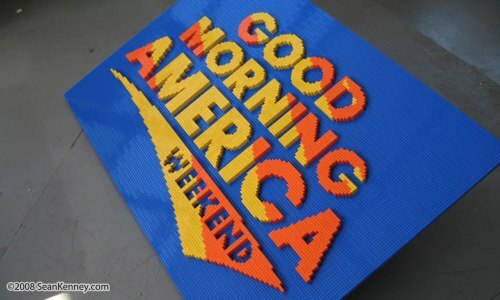 Because nothing says "Good Morning" like stepping on a LEGO brick.